Brunch/Lunch at the Ava Restaurant starting at 10:30 am. Each family will pay for their food & drink individually. The first 24 people that arrive at the restaurant will be seated in their private dining room. Additional attendees will be seated throughout the restaurant. In addition to the main dining room there are very nice patio and bar/lounge areas in which to be seated. Please join Florida Tesla Enthusiasts for a meetup and brunch/lunch to celebrate the opening of the new Tampa Hyde Park Supercharger Station in the Winn-Dixie parking lot at 2100 West Swann Ave, Tampa. At 9:30 am, Winn-Dixie, the host of the Supercharger Station, has invited everyone to join them at the Superchargers for coffee, water & mini donuts. They will have a tent set up outside with the free samples. The location of the Supercharger Station is programmed into your navigation system. We will initially be gathering at the Supercharger Station from 9:30 am to 10:30 am for a photo opportunity. At 10:30 am we will be having a meet-up and brunch/lunch at the nearby Ava Restaurant located at 718 South Howard Ave, two blocks from the Superchargers. Each family will pay for their food and drinks individually at the restaurant. Parking, which can be difficult in that area, is free at an adjacent parking garage just around the corner from Ava's. Ava parking is on the bottom floor of the garage. Refer to map below. For a full-sized image, right click on map below and open in a separate tab. 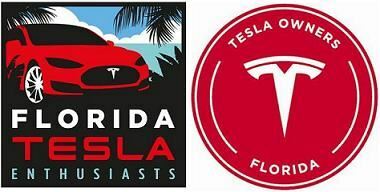 This event is open to the public, but you must register for free at the Florida Tesla Enthusiast (FTE) website to permit us to obtain a headcount for the restaurant. Responding to a Facebook invitation is not sufficient. For non-members of FTE, we collect emails in order to notify registrants if things change. We never use this information for any other purpose.